Bernice Cullinan's quote is wonderful. Whether it's human nature or the natural world, poets must be observers. 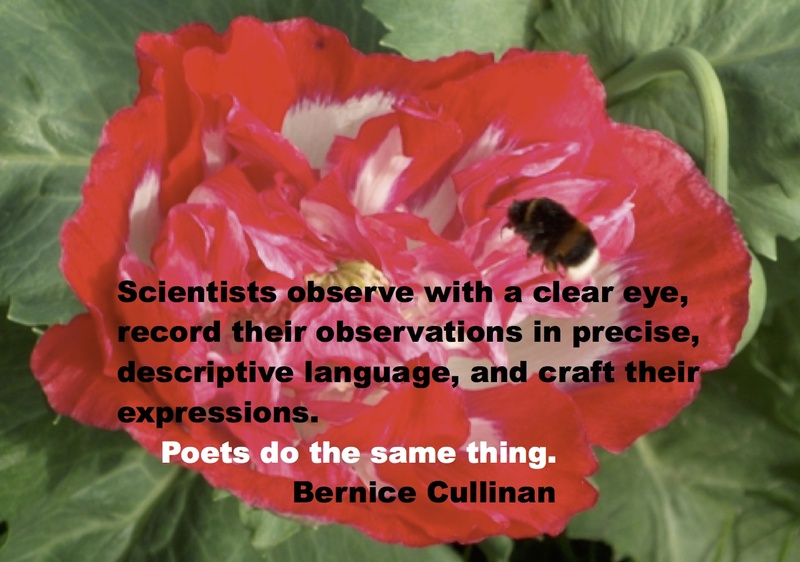 This quote by Bernice Cullinan is one thing I told so many of my students, loving science & loving poetry is the same thing, the beauty of what is seen, the description of the way it feels, smells, tastes. . .You know. Wish I could have seen the presentation. It sounds wonderful. Yes, Susan Marie Swanson's poem is one of my favorites too. 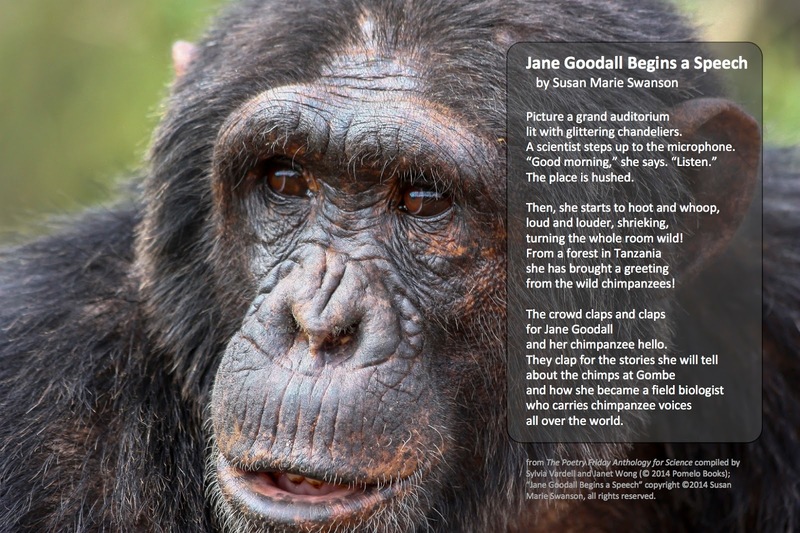 I love the way the poem puts a scientist forward as a celebrity and role model. 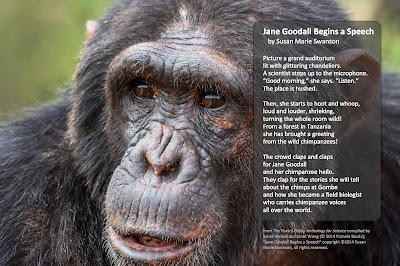 The world could use a few (thousand) more little Jane Goodalls--maybe this poem will inspire them! Oh, how I adore the quote by Bernice Cullinan. Poets are observers. We love to focus on the details especially in nature and humanity. Love your comment, Janet. How true. Sylvia, the connection between scientists and poets is so true. I love the quote. Observers of life-yes! 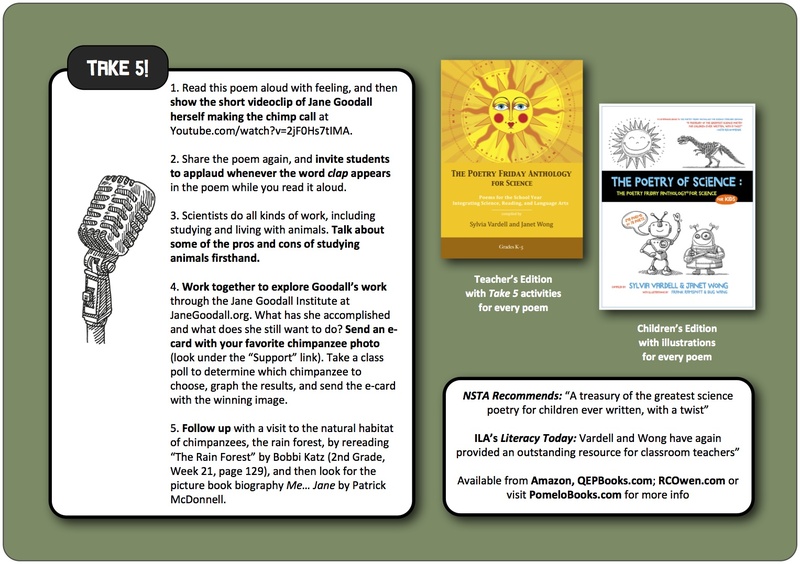 I look forward to meeting you again at NCTE15. Hey, y'all! I wish I could figure out how to reply to each post, but in the mean time, thanks so much for stopping by to comment. And thanks for sharing my science-poetry love! Love the Swanson poem, love the Cullinan quote, love VARDELL AND WONG POWER!